Mohali Taxi Service a leading online car rental service provider in SAS Nagar Mohali providing cheap and best cab service in Mohali. 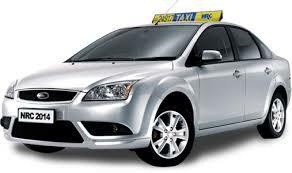 At Mohali Taxi Service, we get you from Mohali to all over India with comfort and with ease. 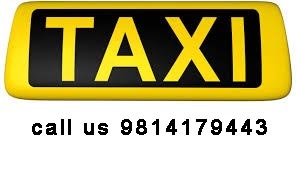 We are proud to be the leading Mohali Taxi Service Stand in the Mohali (SAS Nagar) area. We believe we’ve become so successful due to us always working hard to go the extra mile: we’ll work whenever our clients need us, offering worry-free, quality service at a great price. Contact us today and get where you need to go. Mohali, which officially know as Sahibzada Ajit Singh Nagar, Mohali is the most modern and well planned city of Punjab, Mohali has emerged as the most important cities in Punjab and the rest of northern India, it is developing rapidly as an IT Hub of the Punjab state. Located to the west of Chandigarh, Mohali is a shopper’s paradise and is known for its world famous cricket Stadium and we are one of the best and most experienced taxi service in Mohali famously known as Chandigarh Tour and Travels. Now we offer One way taxi service from Mohali to Delhi and Delhi to mohali Taxi Service. We charge 2500 Rs including all tolls and Taxes and it takes 5 Hours to reach Delhi. Offers:- Mohali to Delhi One Way Taxi Service in Only 2500 Rs. This Post Contains Searches About:- Mohali to Delhi airport Taxi Service, Taxi Service in Mohali, Mohali Taxi Stand, Delhi to Mohali Taxi service , Mohali Taxi Service Number, Best Taxi Service In Mohali.